Things stay so busy in the parsonage. There are always pressing needs and concerns. There are church members to care for, our own family’s needs, housework, studying, planning, and preparing for upcoming events. It can be overwhelming at times, but it’s then that we know we just need a little time away from Johnson City. My husband will pry my fingers loose of all that I’m involved in and make plans for us to go do something together. 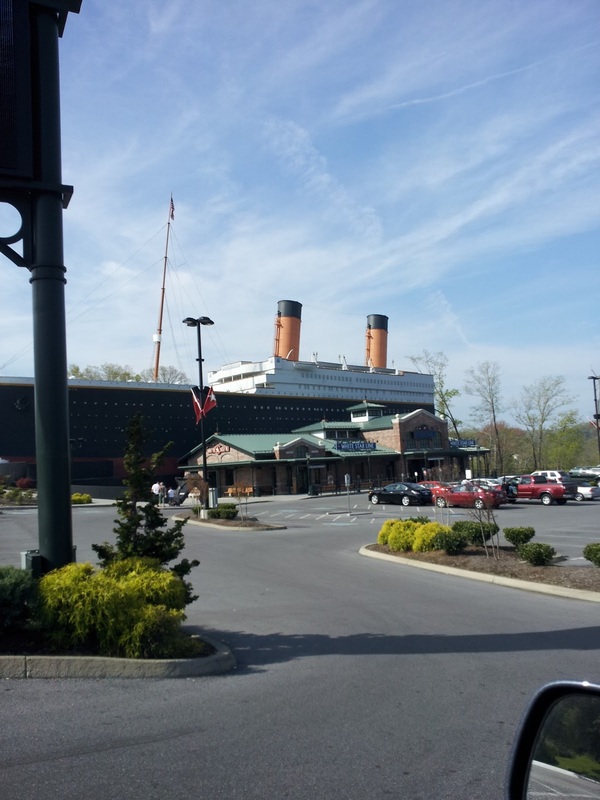 We had the blessing of going to Pigeon Forge yesterday to tour the Titanic Museum with a group from our church. That is an incredible outing! When we arrived, we were each assigned the name and identity of one of the passengers of the ship. I was Edwina (Winnie) Troutt. She was a 27 year-old woman on her way from England to Massachusetts to visit her sister. At the time of the ship’s sinking, a man handed her a baby to take with her on the life boat! She was saved from drowning in the icy waters and lived to be 100. Whew! Glad I she made it! Walking through the museum and learning the history of the building of the Titanic, of its crew and passengers, and of its claim to be “unsinkable” was a stern reminder that life is fragile. There is a day that all of us will come to the end of life here and will be faced with eternity. How will we spend the last day the Lord gives us? It was a challenge to my heart. Maybe all that “stuff” that I was so concerned about isn’t so critical! We need to each live today to the fullest – first for the Lord, and then with those that we love. We won’t have them forever. The group all enjoyed a delicious lunch at the Pottery House Cafe’ afterwards. This is one of our favorite places in Pigeon Forge. The setting is so pretty and the food is really good. 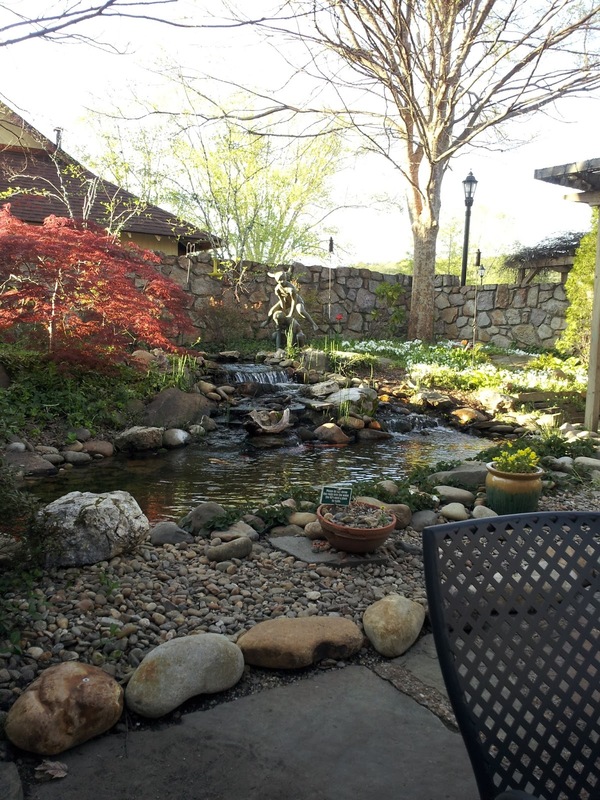 If you have the chance to visit Gatlinburg, you need to stop off at The Old Mill area and eat at Pottery House! Here’s the outside patio area. It’s a great place to eat on a pretty spring day! I’m thankful for a husband who makes me take a break every now and then. This time away was refreshing, enlightening and fun! What do you do when things get stressful? P.S. Today’s house cleaning challenge is to clean things that are repeatedly handled – switch plates, door knobs, etc. Get out the Lysol and make it sparkly and germ-free!